When it comes to local business, image is key. A great visual reputation is important to attract the eye, which can lead to more sales and a better personalized image for your company. 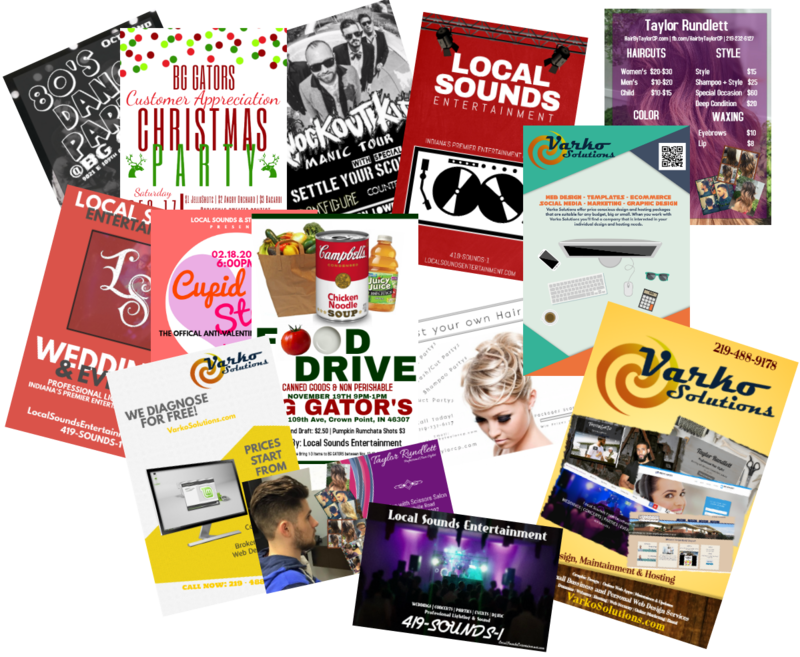 Varko Solutions strives to offer graphic design services that will not only fit your budget, but help bring that idea to life. We offer a wide range of graphic design services including logo design, flyers, t-shirt designs, short promo videos, mailers, advertisement, and much more. Those Flyers don't look so HOT... Let us help!.